My Muji Storage Solutions | Becky Alyssa's Beauty Box. My workstation: an organisational work in progress! Last week I spent the entire time excited about my Muji order! 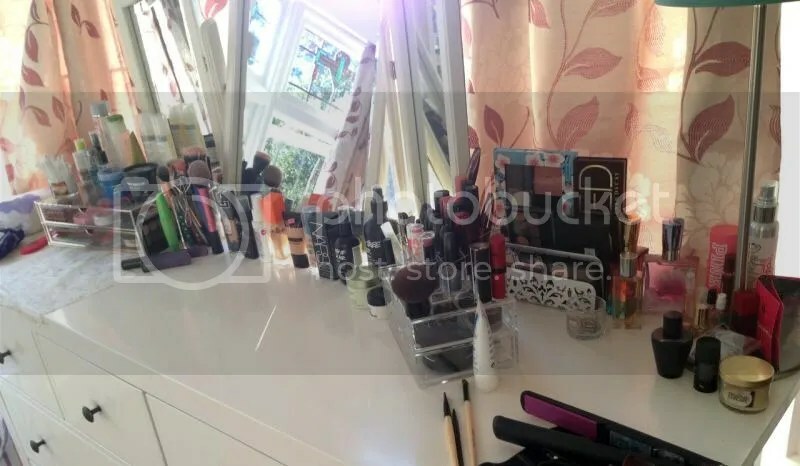 I was a little fed up with the process of cleaning and dusting my makeup area because it was such a hassle to pick up and clean every individual item – a creative storage solution was desperately needed. 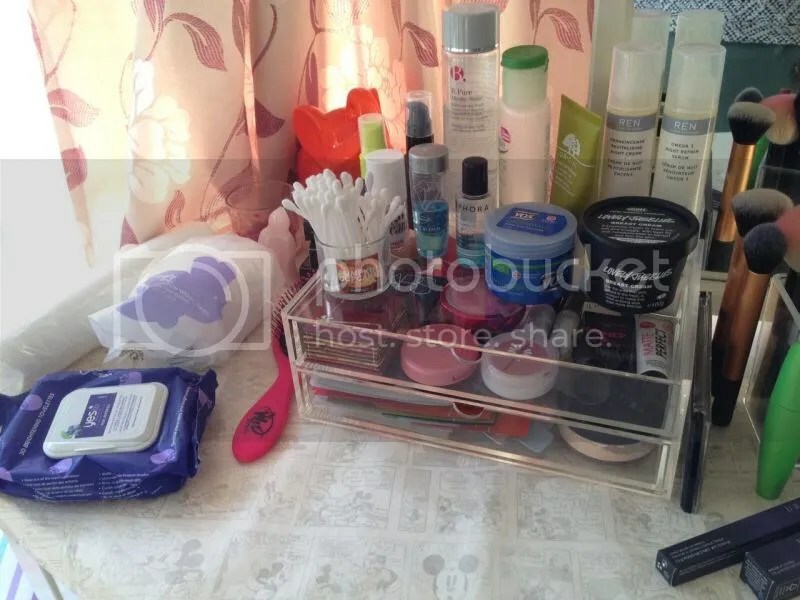 Something where I could easily access my everyday makeup and keep it clean, but still organised and where I could have favourite items in sight and not forget about them. I bought the Acrylic Box 2 Drawers Narrow as well as an Acrylic Box 2 Drawers Wide. I’d done a lot of research on Ebay and Amazon, where their larger drawer storage systems can be significantly more expensive. They took a whole week to arrive despite choosing the ‘first class’ delivery option, but were very well packed and everything arrived in one piece. The wide drawer set is ideal for my most-used blushes, bronzer and primers. 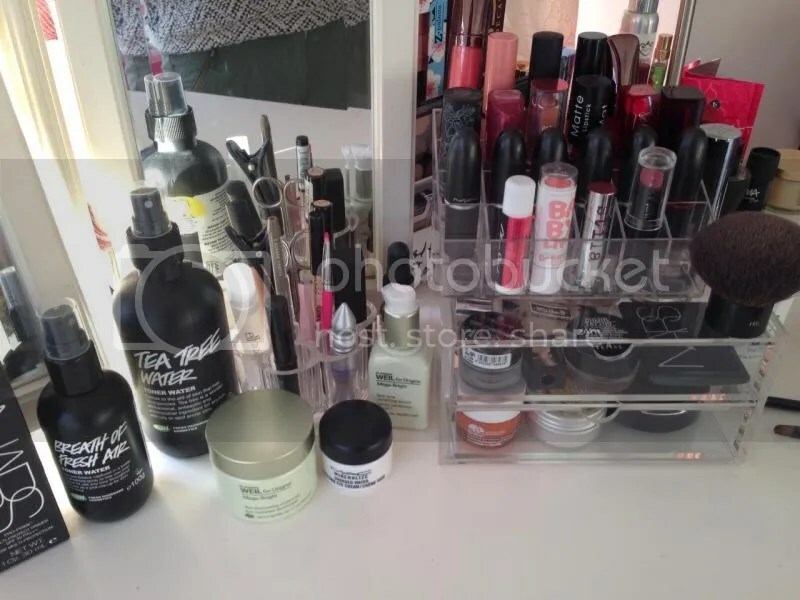 The bottom drawer contains a couple of Bobbi Brown face products as well as a space for all the sample sachets I need to work on using up this year! I can’t believe how many I accumulated from Sephora in the USA and really must get around to trying them out. To the right of it is a Muji acrylic pen pot I bought a while ago to keep brushes and pencil products in, which is filling up fast so I’m going to need space for more! 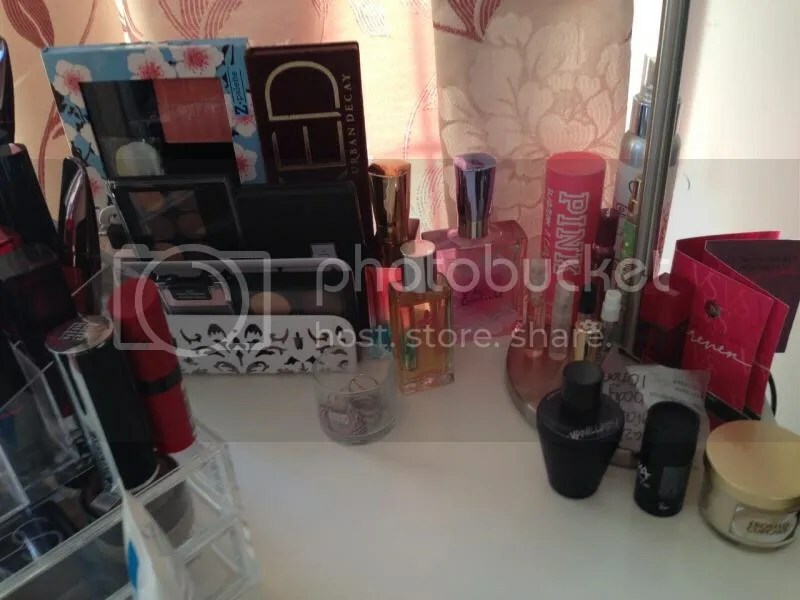 On the right of my dresser I used the narrow drawer set to keep my favourite cream eyeshadow and cream eyeliner pots in, with eye creams and most-used pressed powder pans underneath. The lipstick holder on top cost less than £3 from Ebay and the flower-shaped piece on the right is from Amazon – the narrow spaces in the middle are perfect for miniature tools like tweezers, hairclips, brow scissors and small eyeliner brushes. The palette holder was only £3 from Wilkinsons and sold as a ‘letter organiser’ in the stationary section. It’s ideal for holding my most-used palettes, and for a reasonable price. I was using an Ikea napkin holder previously which was very pretty but didn’t offer as much space. I’m pleased with how much more organised my makeup area is. It’s not quite my ideal setup, but definitely a work in progress. For example, I need more spaces to store more lip products, more palettes and the rest of my fragrances – everything else is currently in different spaces around my room! The Muji drawers are stackable so there’s always room to expand in future. So far, they’ve been surprisingly easy to adjust to and I’m liking how my products are staying clean and put away, rather than being dirty and messy all over the place. I’d really recommend them to anyone looking for an affordable way to keep their collection organised. Note that I’m not affiliated with Muji at all – I bought these with my own money and happen to love them! You can get 10% off your entire order at Muji with the code MUJIBEAUTY, valid from the 13th January til the 13th February 2014 if you’ve been inspired to purchase a set of drawers of your own..and if you do, let me know how you’ve used yours! How do you organise your makeup? Any genius storage solutions I should know about? This entry was posted in Uncategorized and tagged storage. Bookmark the permalink.